I am writing this on Monday afternoon at the start of a week where both Rob and I are off work. Hurrah! We will be going away for a couple of days at some point but as my car has just had an expensive trip to the garage (trying not to resent this too much, all cars need repair from time to time) we will be mostly staying at home, pottering and chilling out. Rob wants to do some work on the other car this week (two cars in a family, twice the car maintence!) so this morning we set off to three different hardware stores to try and find the part he needed (no, I don’t remember what the part was). We went to one store in Nelson, then B&Q on the M65 and then when that failed we tried Halfords in Burnley. It was like a mini-tour of nuts and bolts in Lancashire. Except I didn’t actually go in to any of the hardware shops, instead I went to the nearest place of interest to me. So when we went to B&Q I browsed Pendle Village Mill for it’s quirky furnishings, then when Rob was looking in Halfords I nipped into Sports Direct and picked up some new trainers for £11. Bargain! 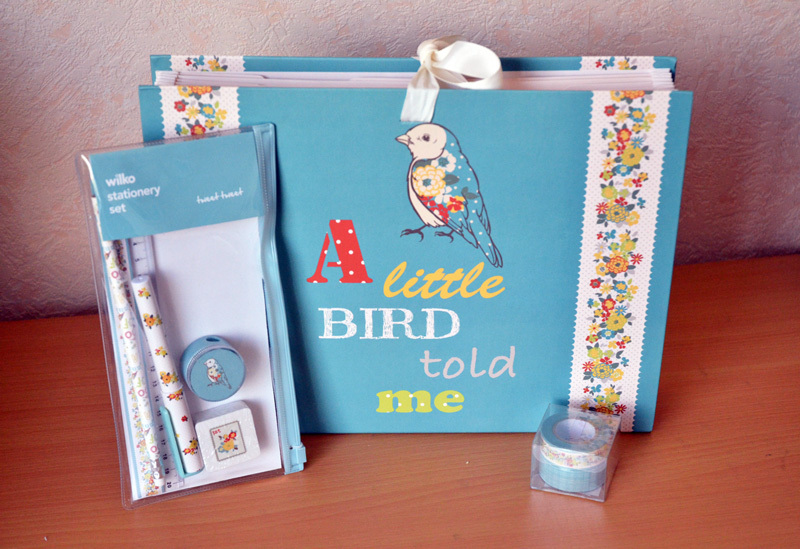 All of that is a long way round to tell you that whilst Rob was part shopping in the independant store in Nelson I had a look in Wilkinson and made good use of the ‘three for two’ offer on some of the prettiest stationary I have ever seen! Look how pretty that is! I love the blue which is a couple of shades lighter than the photos would imply. First of all, I’ve needed one of these expanding files for awhile. I have a whole stack of papers that don’t fit into my current filing system, odds and ends that I need to keep organised but don’t fit into the ‘car’, ‘finances’, ‘job’ etc folders I already have set up. The file was £3.75 and well worth it for a practical and pretty piece of stationary. 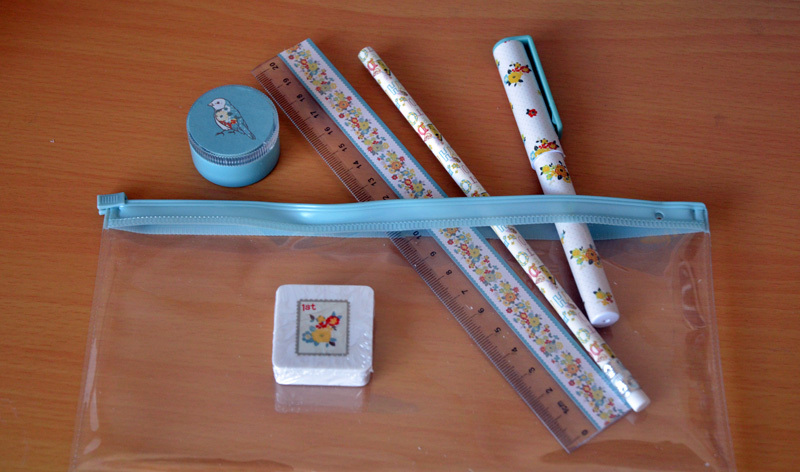 Next up was the matching pencil case for £1.75 which includes a pen, pencil, ruler, rubber and sharpener. As this was the cheapest of the items I bought this is the one I got for free! I am half tempted to take it to work to brighten up my day there, but stationary, especially good stationary has a habit of disappearing in a busy office. It might be safer to keep it at home! 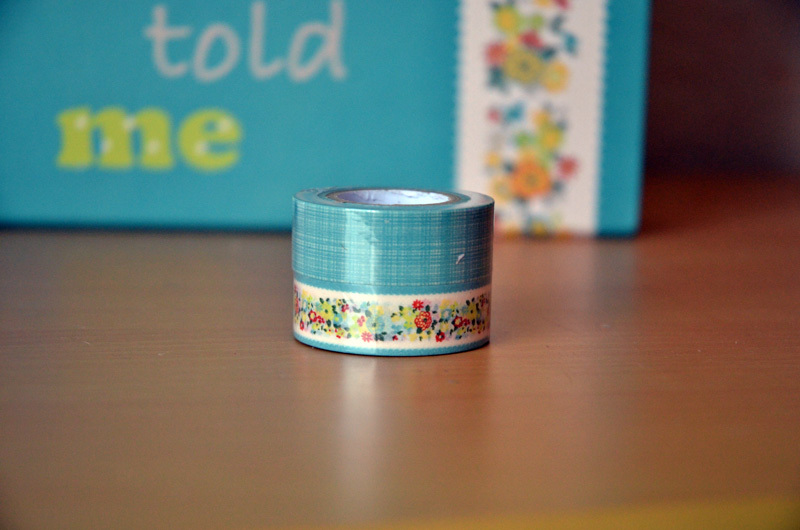 Finally I bought this washi tape set for £2. I’ve been tempted to pick some washi tape a dozen times but I’ve resisted so far not sure of how often I would actually use it. But recently I’ve decided that I want to keep more tickets and momentos in my many diaries and notebooks and washi tape will be a great way to keep them looking nice. Plus it can only mean good things for my present wrapping! So there you have my three purchases and with the three for two offer it came to a grand total of £5.75. 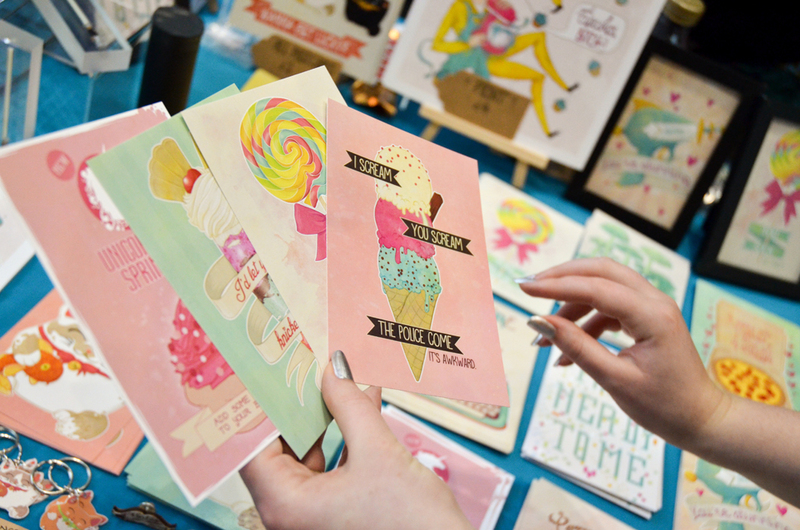 There was plenty more stationary to choose from and two or three designs worth looking at. I have no idea how long this offer will run for but I would say it is worth checking out whilst this offer lasts! Oh and if you were wondering Rob found the part he wanted in Halfords but it still didn’t do the job he wanted it do when we got home. Conclusion: stationary shopping is way more fun than car maintenance! 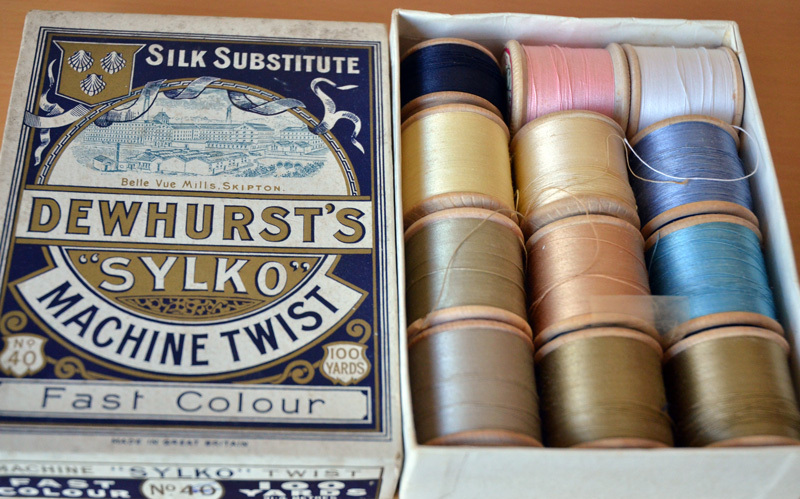 My wonderful Mum managed to acquire three beautiful boxes of Dewhurst’s Sylko Threads for me. 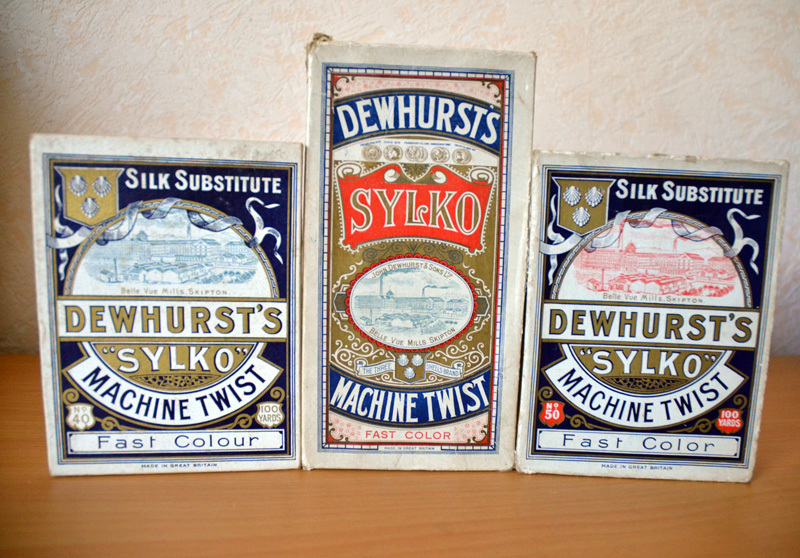 Dewhurst’s used to run a huge cotton mill in Skipton. I found some interesting infomation about the comapny on a blog here. These look pretty vintage to me but I’m not sure how old they are. 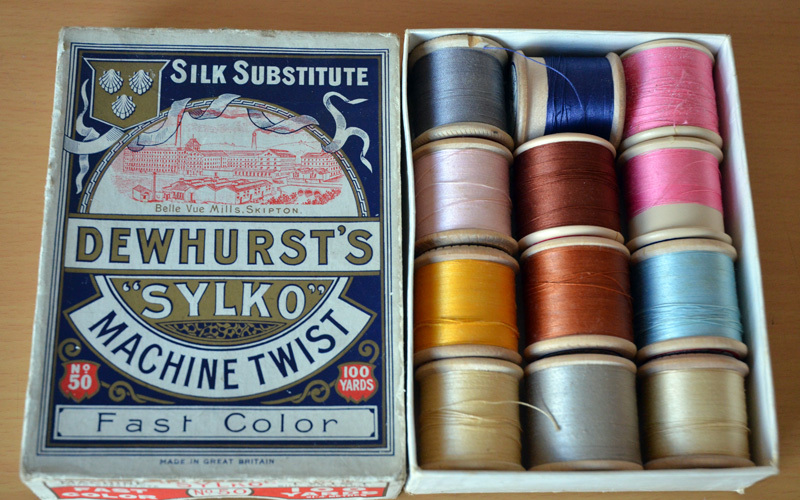 The boxes alone are wonderful to look at and the thread inside is equally stunning. I adore the baby blue colours! So here is the question, can I actually use these beautiful threads or should they stay preserved as collectors items? 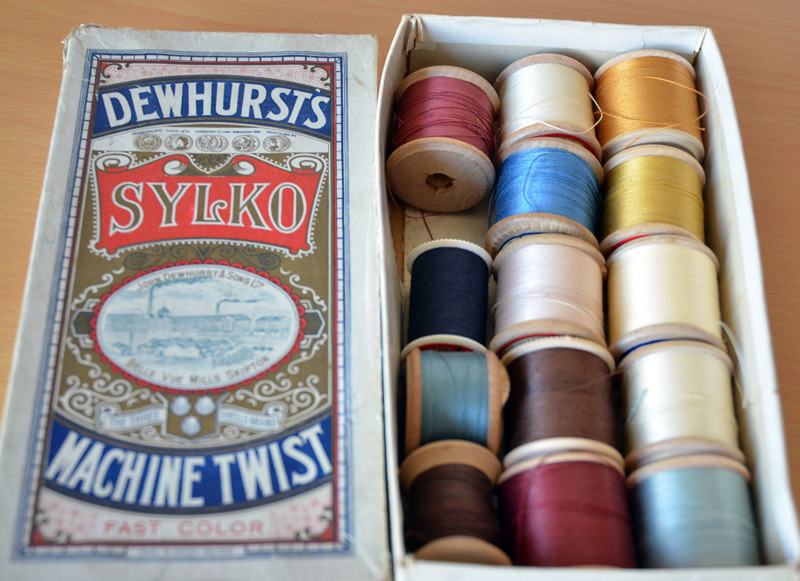 They are so beautiful to look at as they are it would be hard to use them up, on the other hand would it be a waste of good quality thread if they are never used for their created purpose? They feel like they have a lot of history in them, I think I would only use them in very special circumstances. 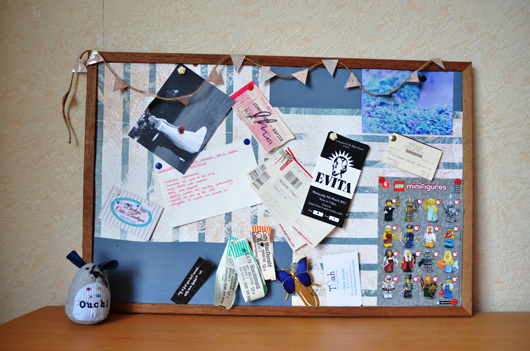 For now I am happy to keep them and gaze longingly at them! Warning this will be a long post! 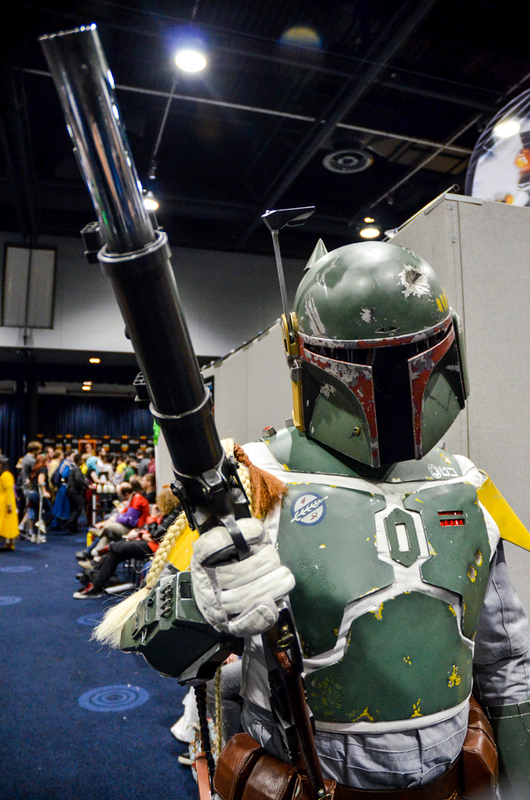 Last week I went to my first ever Comic Con! Rob booked tickets for us to go to the one in Manchester. It has been running for a couple of years now and it has been growing steadily and this year they held it over two days instead of just the Saturday. We had tickets for the Sunday which I think meant that the place was fractionally less crowded. But there was still plenty of people there and about a third were in Cosplay. I was a little shy to do cosplay this year but I would love to go for it one day. For now I settled for my superman t-shirt. 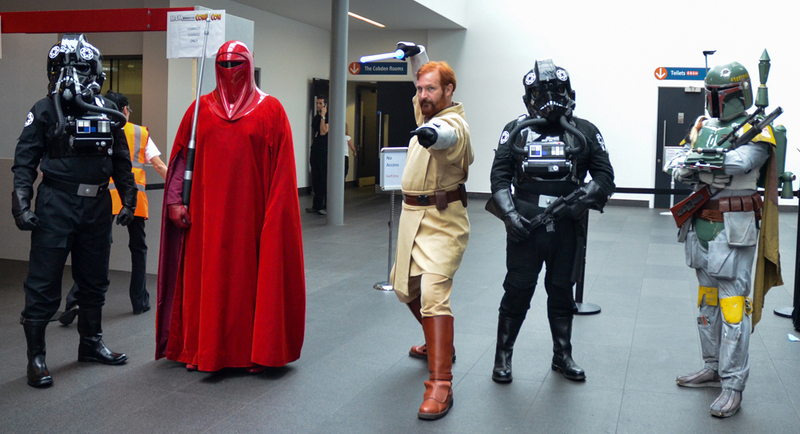 I wanted to share some of our highlights starting with my favourite cosplayers! These guys greeted us at the entrance! 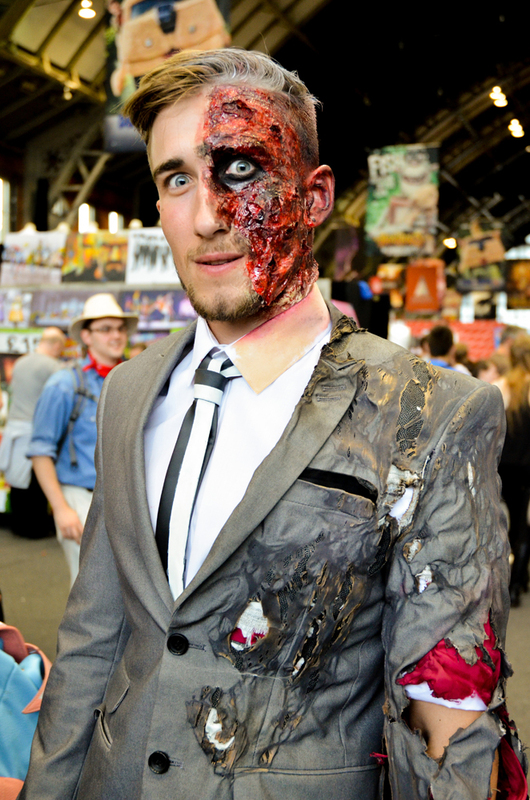 But Two Face gets the award for most menacing eyes! In-between people watching we spent a long time browsing the many stalls. 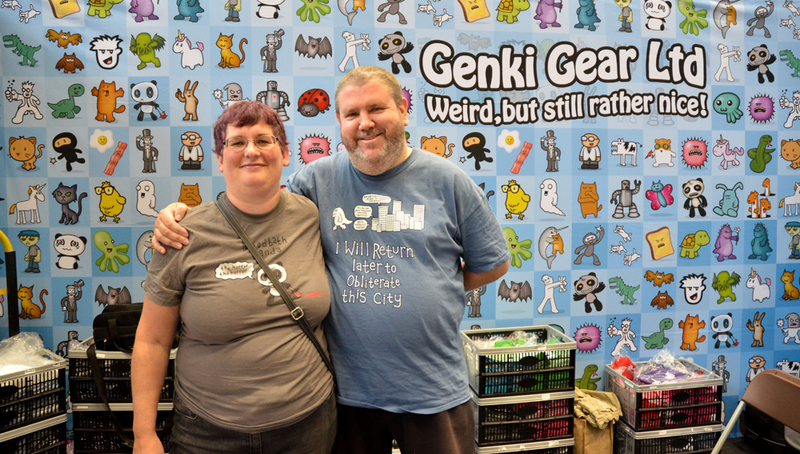 There was a fantastic variety from geek fashion, collectibles, comics, art work and just cool stuff! 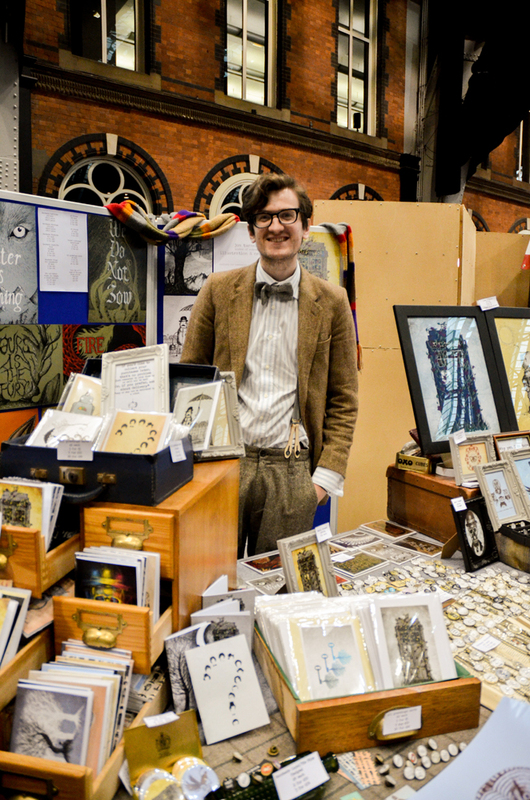 This guy is called Jon Turner and as well as having a beautiful display his work was fantastic. 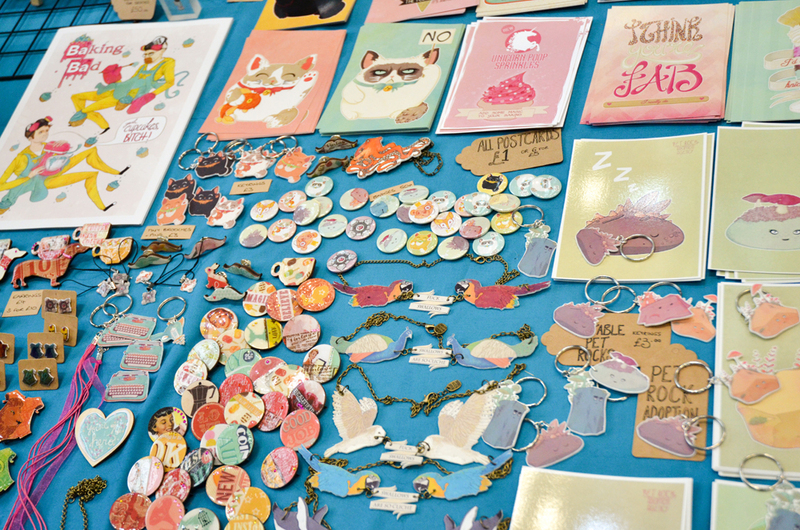 We picked out a couple of his prints, which was tough because there was a lot to choose from. You can check out his website here. These postcards were so cheerful I collected a handful, I’m planning to get them framed and put them up in the kitchen at some point! These guys were selling the cutest and funniest t-shirts. Rob bought the ‘Release the Attack Kittens!’ one. You can see their stuff here. I loved Matt Dixon‘s Robot series, so much we bought his Transmission book which is beautiful, whimsical with just a little touch of melancholy. 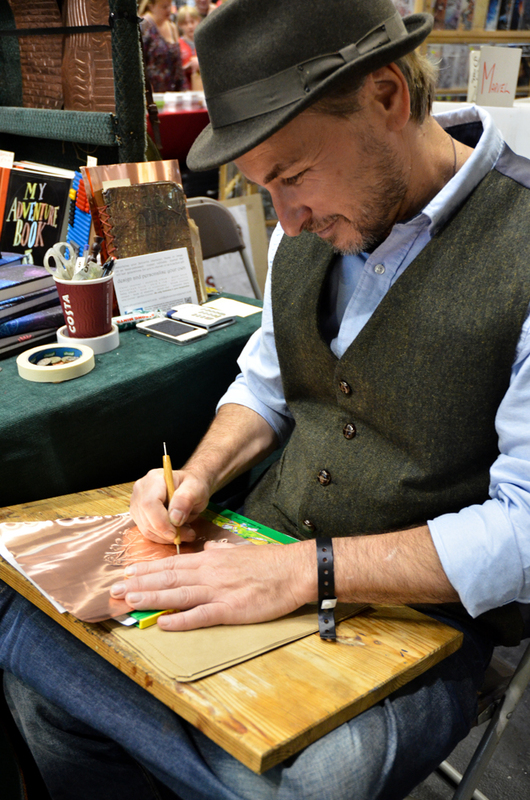 It was great to be able to meet the artist, and Matt has happy to talk about his work and share tips with people on equipment and technique. He signed the book for us to Mr and Mrs Browne. 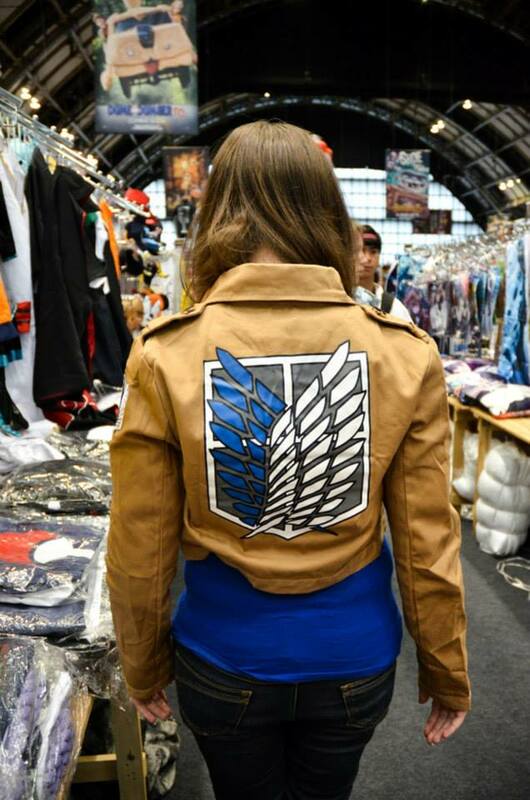 I was very tempted to purchase this jacket! After plenty of shopping we went to a couple of the talks. 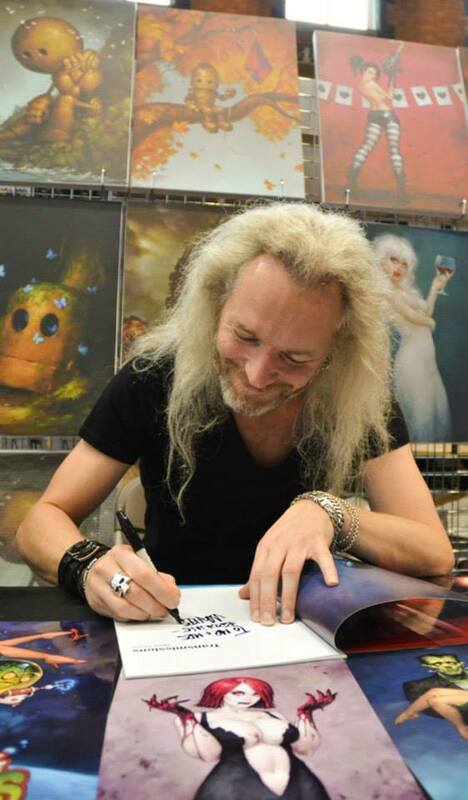 We met Ross Mullan who plays the White Walker in Game of Thrones and a Silence in Doctor Who. The characters he plays have such a foreboding presence but Ross is very sweet and friendly, it’s hard to believe that such a nice guy plays so terrifying characters! He even put a heart on the photo he signed for us! 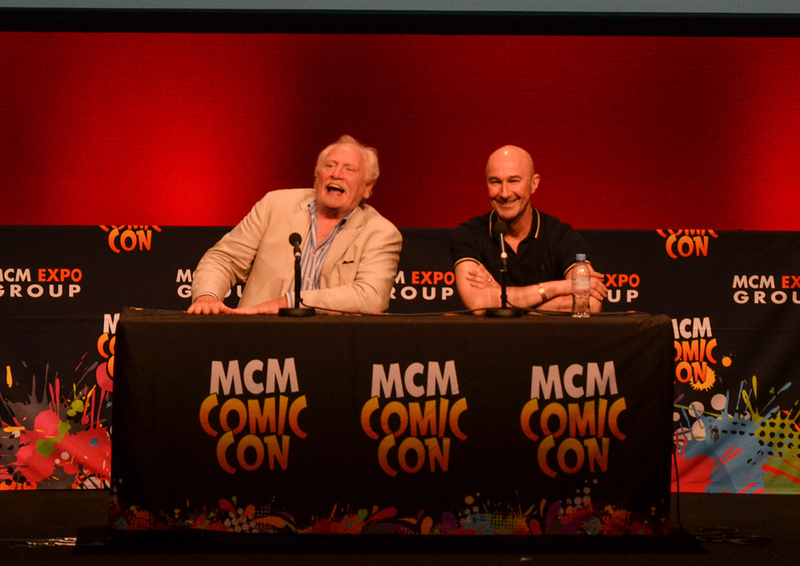 We also got to see him in a panel along with James Cosmo talking about Game of Thrones. Then afterwards there was a Q&A with the voice actor who played Edward in Full Metal Alchemist (along with hundreds of other roles, that’s just where I know him from! 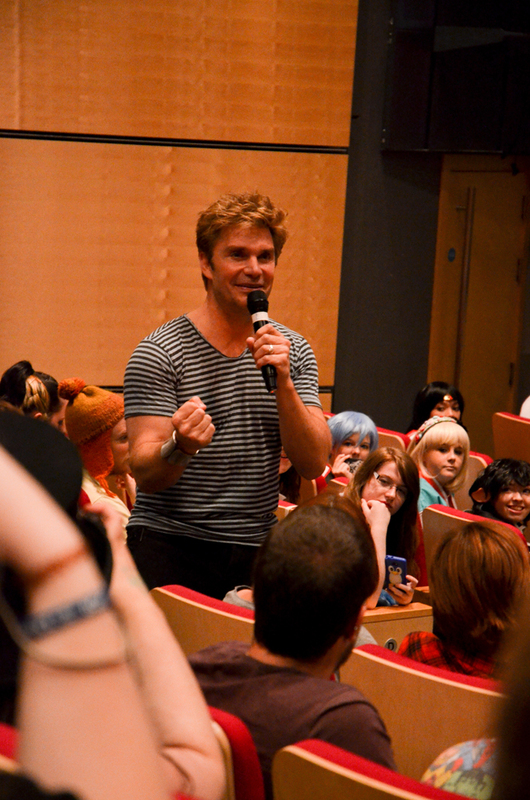 ), Vic Mignogna. Now Vic is clearly an old hat at this, he was funny and confident. He roamed around the lecture theatre and gave really thorough answers. 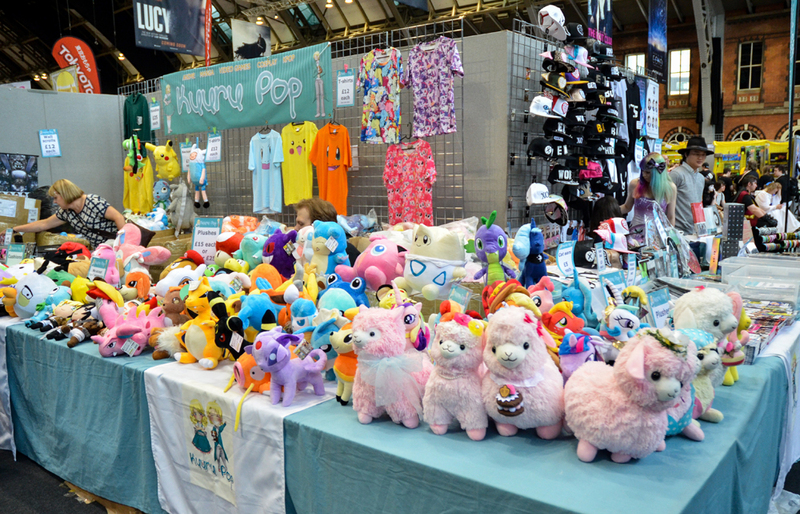 It was a fantastic experience for a first time comic con goer like me! Then all too soon it was time to head home. We left with arms full of swag and when we got home the first thing we did was lay it all out on the floor and then just sat and admired it for a while. We will certainly be going back next year! My favourite place to read is on any chair or bed that the sunshine is hitting through the window. Like a cat I tend to follow the sun as it moves throughout the house. In the morning I read in the dining room on an old chez long that used to belong to my Gran, in the afternoon I move to the lounge with my legs sprawled over one of the arms of he armchair by the window. If the weather is actually sunny and hot there is nothing better that reading on a blanket on the grass in the garden with an ice lolly in hand! Erm…I fold down the corners. I know that is a terrible habit but I always seem to loose bookmarks. There is one exception, I have a black leather bookmark with a golden Celtic knot design that lives permanently in my Lord of the Rings books. It just seems to belong with the epic so those are the only books that I use a bookmark for and then I only use that one bookmark. I can stop reading at any time and pick it up again fairly easily. If I love the book then it will take a chapter break to remind me that I do need to stop at some time and do things like sleep, eat…go to work. Yes, in fact there is something about breakfast and reading that go hand in hand for me, especially on weekends when I can settle down with my toast and book! Do you watch TV or listen to music while reading? Not really, when I read I tend to zone out of my surroundings so I wouldn’t notice them if they were on or not. Sometimes I read whilst Rob is playing on the PlayStation. Does that count? One book at a time as a rule, although I may have a non-fiction book that I dip in and out of over the course of a couple of months, but with novels it is only ever one at a time. Reading at home is best, but I can read anywhere. And if I am going to be on my own waiting anywhere like at a Doctors office I try and take a book with me. In my head. Sometimes I read poetry outloud for fun, but only to myself! Only if I am on the verge of giving up on the book. If I am bored of it or think I know exactly what is going to happen I will skip to the end to see if anything of interest is there. If the ending surprises me, I’ll go back and read on to see how it unfolds but if it meets low expectations I will call it a day and move on to my next book. I never skip ahead if I am enjoying the story even if it is a mystery I really want to know the answer to! Breaking the spine. I like my books to look used and well-loved! I might write in the opening pages, my name and where and when I bought the book, because I love finding second hand books who have that too! Other than that I leave them alone. If they are non-fiction I go to town, underlining and making notes all over the place! And those are my answers, any other bookworm blogger out there feel free to join in the fun and answer the questions too! I tag you all! 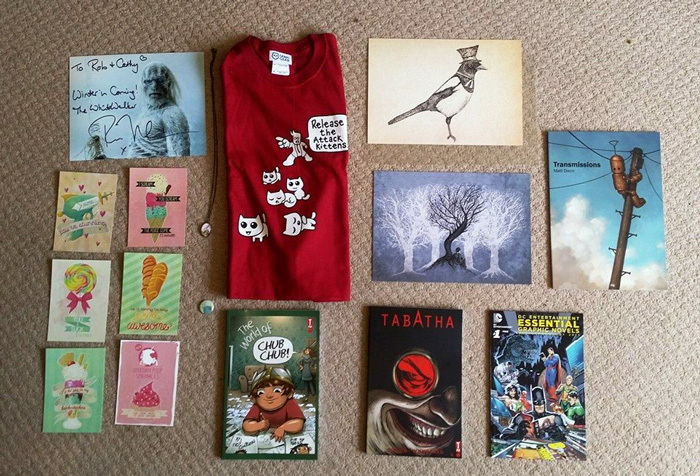 Earlier this year I took part in Blogger Book Swap organised by Beth Tinkerbell. You were partnered up with another blogger and set to the task of discovering each other’s likes and dislikes. 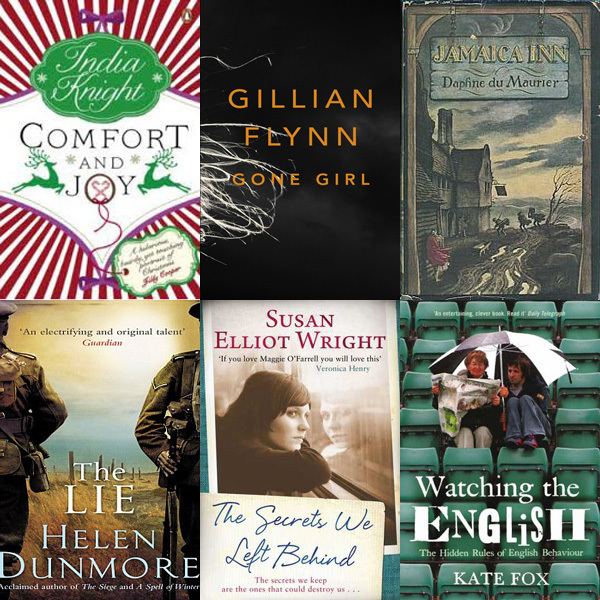 Then with a budget of £10 put together a few books new or old for the other person to enjoy. My book swap partner was Rebecca from http://sullen-hearts.blogspot.com. We sent some emails back and forth to find out our book tastes. I said I liked Fantasy, Horror and the occasional crime with chick lit as my guilty pleasure. In terms of non-fiction I like collecting books on etiquette and style from different decades but I can’t cope with biographies of people who have had traumatic lives. I also like thrillers, mysteries and adventure. Rebecca’s escapism of choice is crime but wasn’t keen on fantasy or Sci-fi. 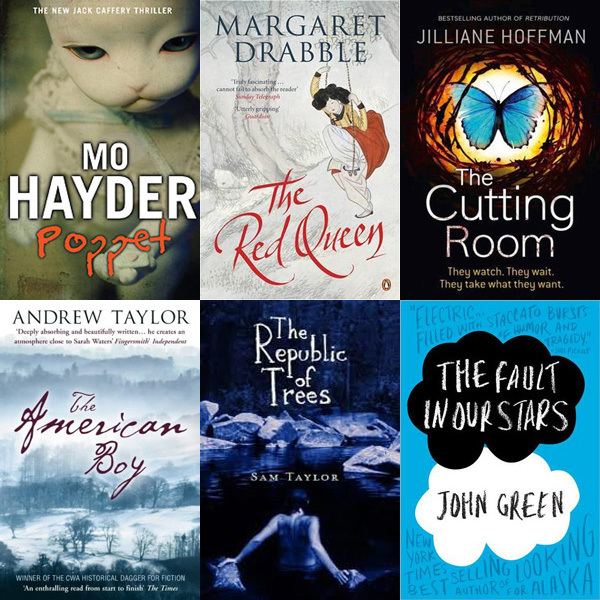 I learnt that Rebecca is a writer with a passion for Young Adult fiction. She likes dystopians like the Hunger Games but also likes gritty real life teenage lives. For non-fiction she liked real life stories on feminism, religious cults and LGBT. She also liked ‘Literary Fiction’ which is a term I had heard before but not really understood properly. I had to look it up! With my brief of Rebecca’s likes and dislikes I set out to put the Book Swap parcel together. There were a few books that I already owned that I thought would suit her and with a buy two for £7 deal I managed to get together six books to send her way. There was a chance that Rebecca may have read this as there is a lot of positive talk about this book at the moment. I’ve not read it myself but it as it comes highly recommended and has a young adult emphasis I thought it would be a good bet. I picked this one just because I thought the plot sounded interesting and I was trying to avoid books she may have read before. It looks like there might be a bit of ‘Silence of the Lambs’ vibe going on here and will hopefully fill the crime escapism category. I picked this one whilst possessed under the sinister gaze of the rabbit/doll thing on the front cover. It told me that I must buy it or terrible things would happen! OK, the truth is the blurb on the back was scary and I thought this might be a good cross-over book of our interests; my love of horror, Rebecca’s love for crime, combined into a book of pure insane evil. Lovely! I bought ‘The Red Queen’ years ago and there are some scenes of the Korean Queen’s life that really stuck with me. I thought she might like it as it is the story of two women’s lives in different cultures and times but facing similar feminist challenges and struggles. This book kept me occupied for an entire holiday break one year. It’s lengthy and I forced myself to read it slowly because I didn’t want it to end. It’s very atmospheric and is the kind of story that leaves you disorientated when you put it down because you could have sworn you were in a Country Manor House in 1819 in the middle of winter instead of in your sunny back garden in 2005. I am not sure if a case could be made that this is ‘literary fiction’ but I think it is along that vein. When Rebecca said in that she liked ‘The Hunger Games’ and young adult and dystopian societies, this mini-dystopia story sprang to mind straight away. When I read it as a teenager it really disturbed me in a ‘Lord of the Flies’ type of way. On one hand it is a captivating book, on the other hand it creeped me out so much I was a little bit glad to be sending it away! I was pretty happy with my choice of books for Rebecca, I think they were mixed enough that there was a good chance that there would be at least a couple that she will really enjoy. Then Rebecca’s parcel arrived for me and it felt like Christmas. Before I tell you what books she put in I have to tell you that she sent me a packet of German liquorish as an apology for taking a long time to send it, even though we were both as bad as getting this organised. 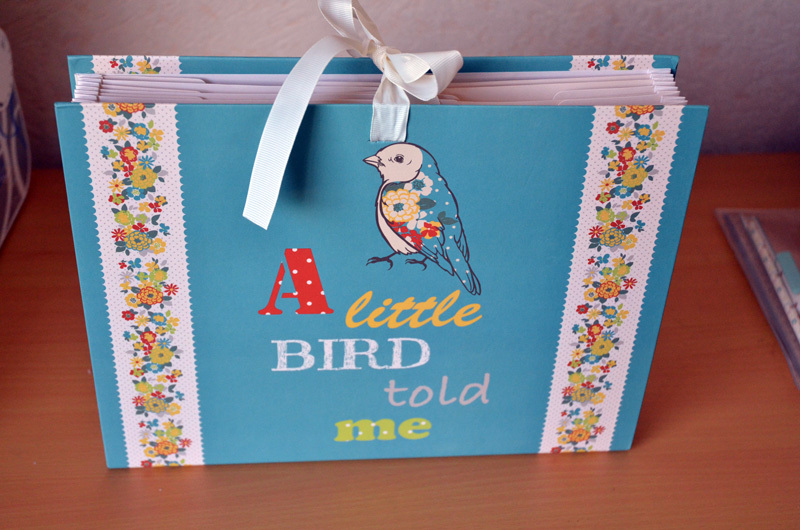 (We started in January and it too us months to send the parcels because we turned out to be equally forgetful!) Anyway I was really touched by that. Anyone who gives food tends to be a good person in my experience. But on to the books! Here is what Rebecca sent me along with her reasons for each choice. This is pure chick lit! It’s set at Christmas so save it til then! This got a lot of hype last year. It’s an odd book. I don’t regret reading it but I’m not sure I liked it?! She’s a great storyteller and you’ll leave it wondering. This is a classic! I love Rebecca and this, such great novels. It’s so dark and gothic. The new TV Version with Jessica Findlay Brown in was really good, watch it if you can! I love Helen Dunmore. She’s a really good author. I like ‘A Spell of Winter’ and although I haven’t read this I hope it’s good! I bought this as I thought it would fir with your interests in ‘Style and Etiquette’ books. It is fascinating and will make you question your word choices! Do you say couch or sofa? Loo or toilet? What does it mean about your class/identity? It’s really interesting! Isn’t that a great selection! I am just finishing off the last book in the set now and some reviews will follow shortly. I can tell you now that I have absolutely loved some of these especially Jamaica Inn, that one just consumed me! Anyway if this sounds like the kind of thing you would like to do keep your eye on Beth’s blog because she has just launched a summer book swap and it may be that she does more of them in the future. Plus her blog is awesome anyway! 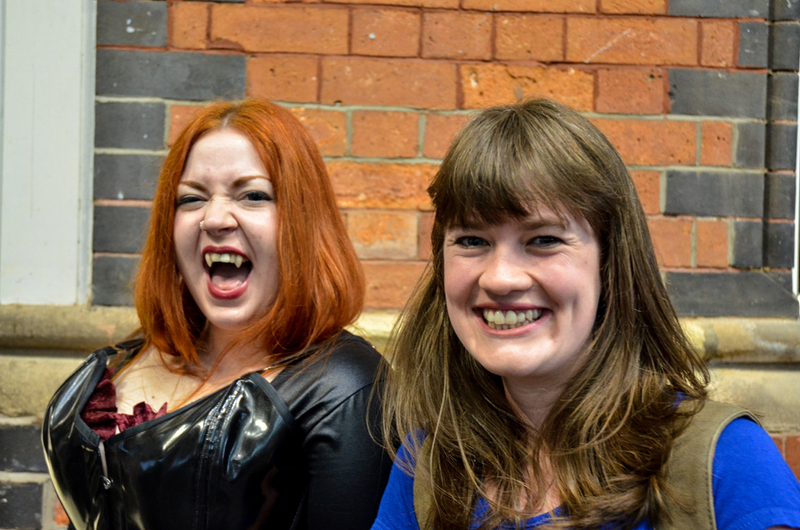 Also if you want to know more about the delightful Rebecca you can see her blog here! Right I have to go, I still have half of Gone Girl left to read and I just have to find out what happened to Amy! After spending a week glaring out of the office window at the blue skies and sunny world that I couldn’t go out and enjoy due to the necessity of having a job, I was really looking forward to Saturday where I could spend all day in the garden with my book (Gone Girl) and regular intakes of ice cream. However, it got to mid-morning and I realised that we didn’t have any ice cream in the house so Rob and I headed to the trusty Spar to stock up. 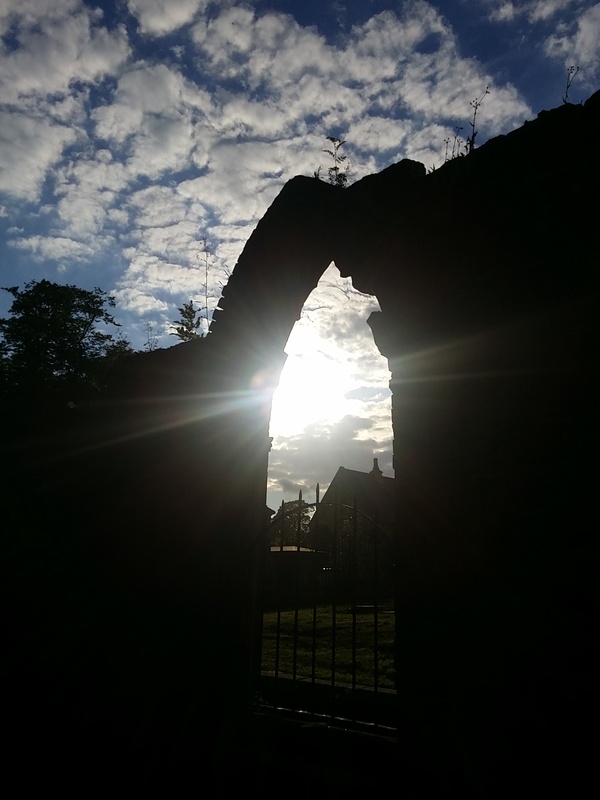 We took a short cut through the grounds of this ruined church and as the sun was absolutely golden we stopped to take a couple of pics. 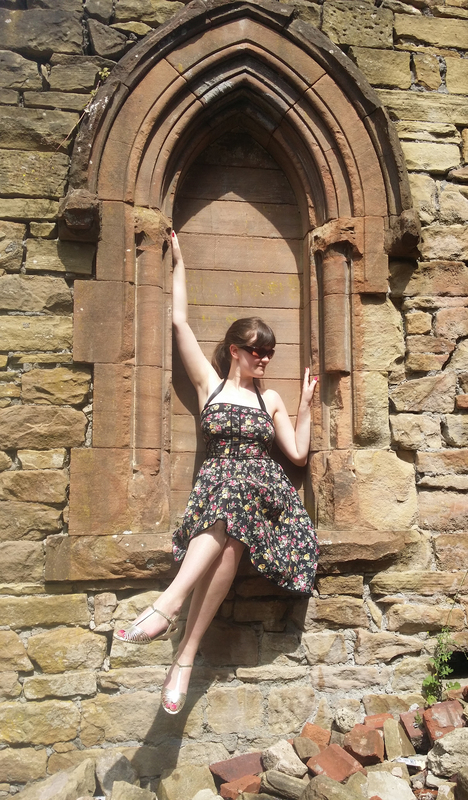 The dress is an old ASOS one and is very good for sun bathing. Originally it was strapless but I struggle with strapless dresses; they are always trying to slip down! My Mum added the ribbon for me so I could wear it as an halterneck when I am up and about and easily undo it to avoid straplines when sunbathing. The shoes are the most comfortable sandles I own. They are from New Look and are about six years old, they go with everything and I can wear them all day without any pain. Who would have thought that £7 summer shoes from New Look would prove to be a long lasting success! 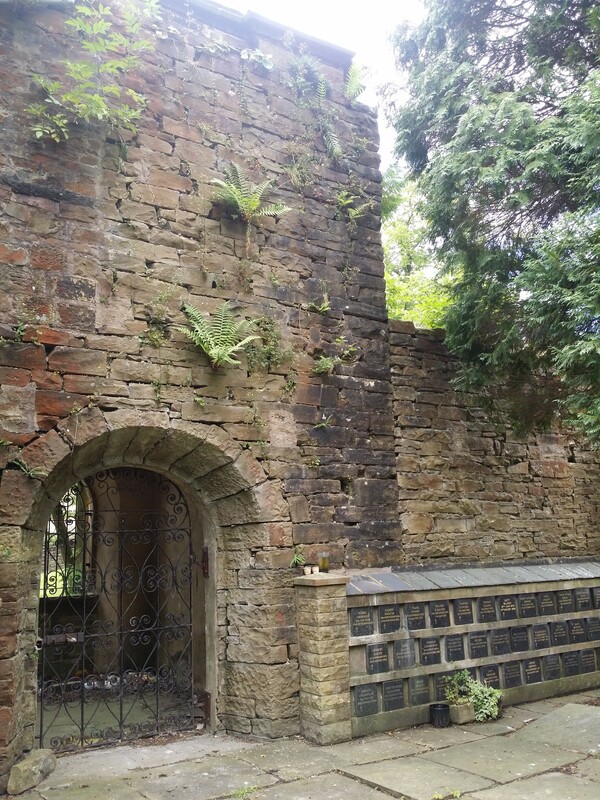 I love the big ferns growing out of the wall here, and that exquisite gate. I even love the uneven paving stones! 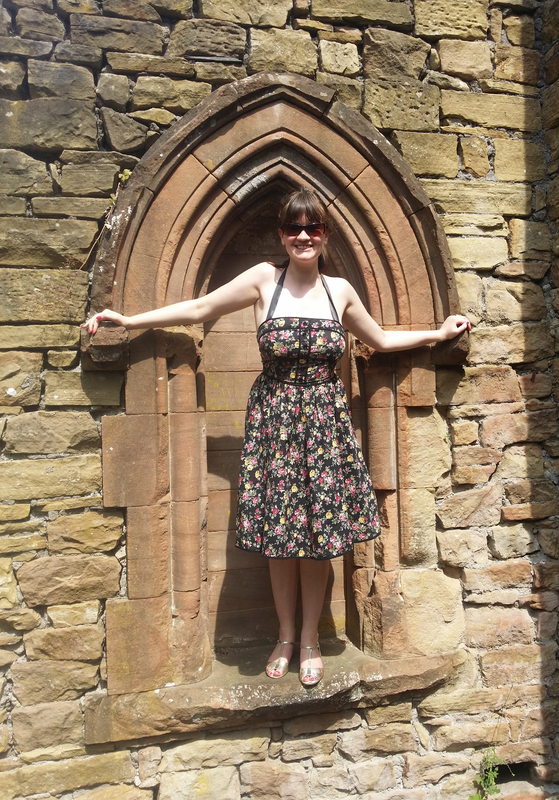 Eventually we had to leave the church and go get those ice creams! The rest of the day was spent in a lazy blur. I’ve just one more week left at work now and then I get two weeks of freedom to drench up every moment of sunshine the English weather allows! I did a quick little craft project this weekend. 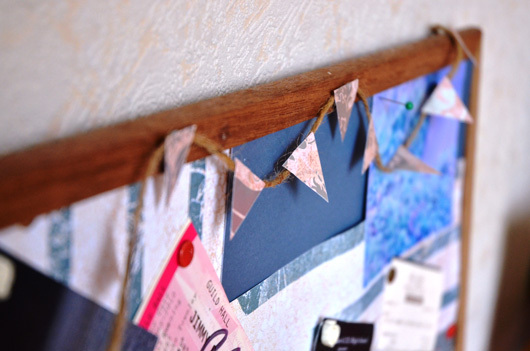 I wanted to add a little bunting to my notice board to pretty it up a bit. 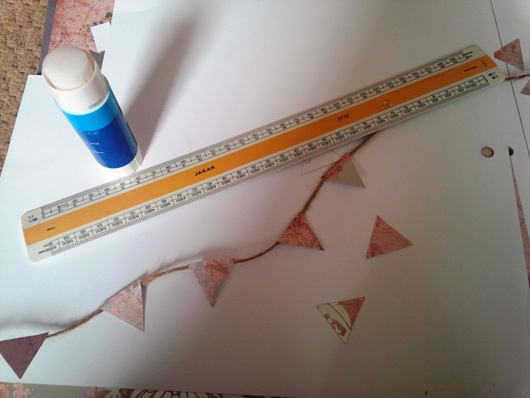 I didn’t want to delve in to my fabric so I got out some craft paper cut it into strips, then into squares and cut out my triangles using a template I had printed out. 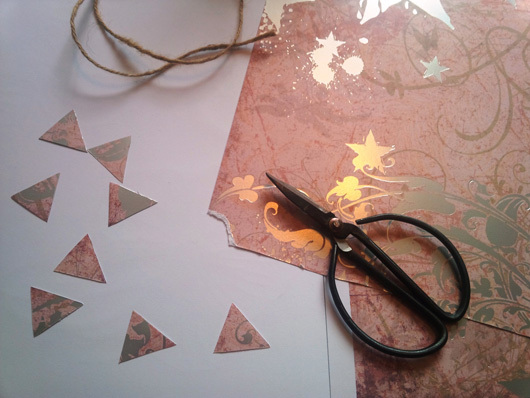 It didn’t take very long before I had about 20 little triangles cut out and that was using my beautiful but slightly impractical thread scissors because I couldn’t summon the energy to go downstairs and get the more practical scissors. 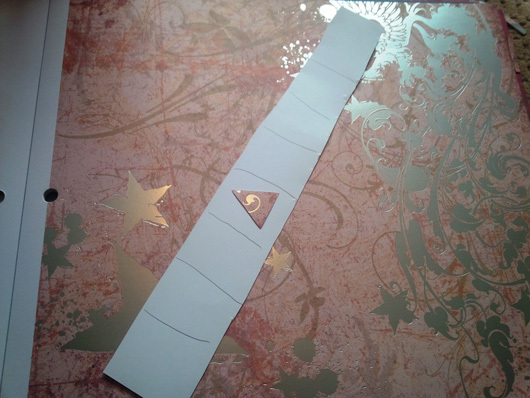 It was then a matter of attaching the triangles to my thread. 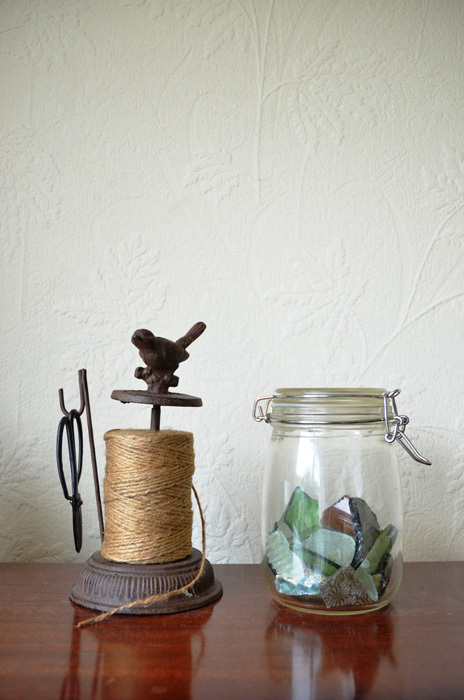 I did a test thread with a few experiments; I tried stitching, sellotape and punching holes and threading them through. In the end I used a good old glue stick, and then spaced them out with a ruler to keep it even. A photo of moss that went through a printer that was out of ink, so the photo came out in all these washed out blue and purple colours. It was a happy accident because I love these colours. Oh and my pin cushion mouse ‘Bernard’ is hanging about too. Now all I need to go is actually get the notice board on to the wall! There’s always one more job to do! A couple of weeks ago whilst exploring one of my old favourite summer spots at a river bank, I collected some fragments of glass that had been smoothed down by the water. I kept calling them sea glass but Rob pointed out that as they came from a river I should really call them river glass. When I was a child I used to collect all sorts of bits and bobs; acorn cups, snail shells, sea shells, feathers and even ‘pretty rocks’. I still find it impossible to walk past Horse Chestnut trees in October without having a good scout among the falling leaves for conkers. But now that I am a grown up I have to be a bit more restrained and intentional with my magpie impulses. 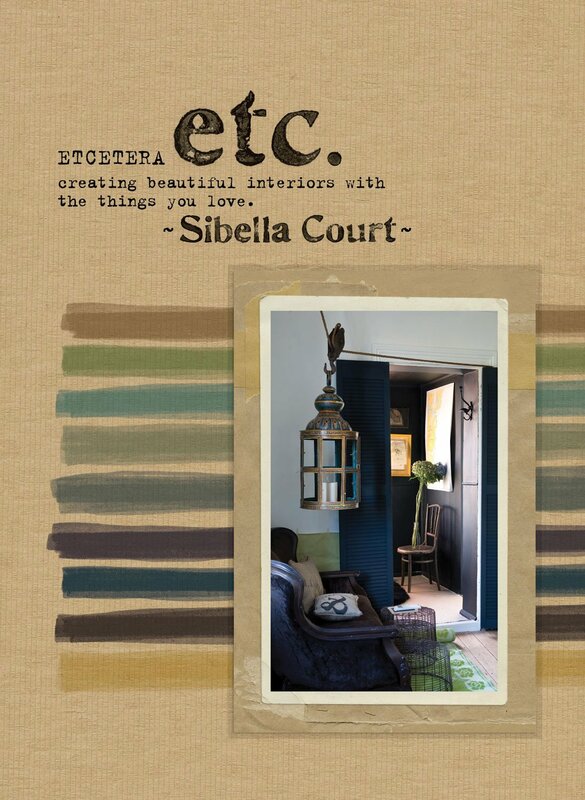 Rob’s Mum gave me a wonderful book for Christmas last year called ‘Etcetera’ by Sibella Court. It’s an interior design book packed with beautiful photography of rooms packed with all manner of natural and quirky collections. This book came to mind when I found the river glass and I decided that I would take it home and find something to do with it. I had a few ideas in my head but in the end I went with the simplest plan. So easy and so pretty! I really like how well it sits with my thread holder. 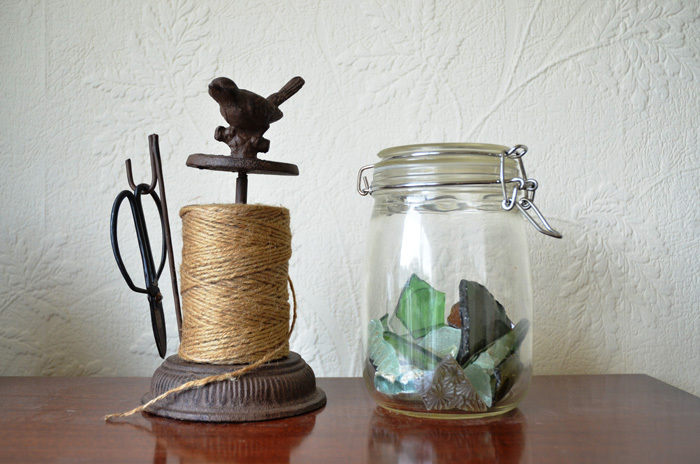 I like having the mixed textures of iron, glass and thread. It just makes this little corner of a room a bit more interesting. When we were kids we had a favourite picnic spot that was about a fifteen minute walk away from Anna’s house but felt like it was in the middle of nowhere. We walked through a couple of fields, then cut a corner through a housing estate and turned on to a very long country lane with more fields on either side. Fields with playful horses! Then there was a sharp turn left on to a narrow footpath. The path runs along the bottom of the fields then leads down a steep wooded hill. A stream runs alongside it and as the hill steepens the path turns into stone steps. At the bottom of the hill the trees thin out and you can hear running water and when the path turns a corner you come out of the shade of the trees and reach the long narrow bridge that crosses the river that we call, for reasons unknown, the ‘Ogilty Cogilty’. This was our picnic spot. Just over the bridge on the grassy banks of the river. I remember us all traipsing along the bridge, swimsuits under our clothes and carrying bags full of food and towels. We would dump the stuff on the grass and get to the serious work of paddling and building dams! When Anna came back to visit us last month we decided to go and find the Ogilty Cogilty again and have a picnic there like old times. I had tried once before to take Rob but I had taken a wrong turn and we had gotten well and truly lost! This time, with Anna as the guide we found it no problem! Some of the steps down the hill now have been dislodged by roots and there are large patches covered with squelchy mud, but we made it down to the river without any trips and spills! Time hadn’t changed the Ogilty Cogilty much, there were the remains of a small fire and a couple of beer cans that had been left behind by someone else but I think even when we came as kids there would often be signs that others came here too, we just never saw them in person! The day was hot and muggy so it was nice to be near water which always seems to cool the air. Rob took photos and skimmed stones, Anna and I swapped old stories, we ate our picnic and I found quite a lot of pretty glass fragments smoothed down by the river. 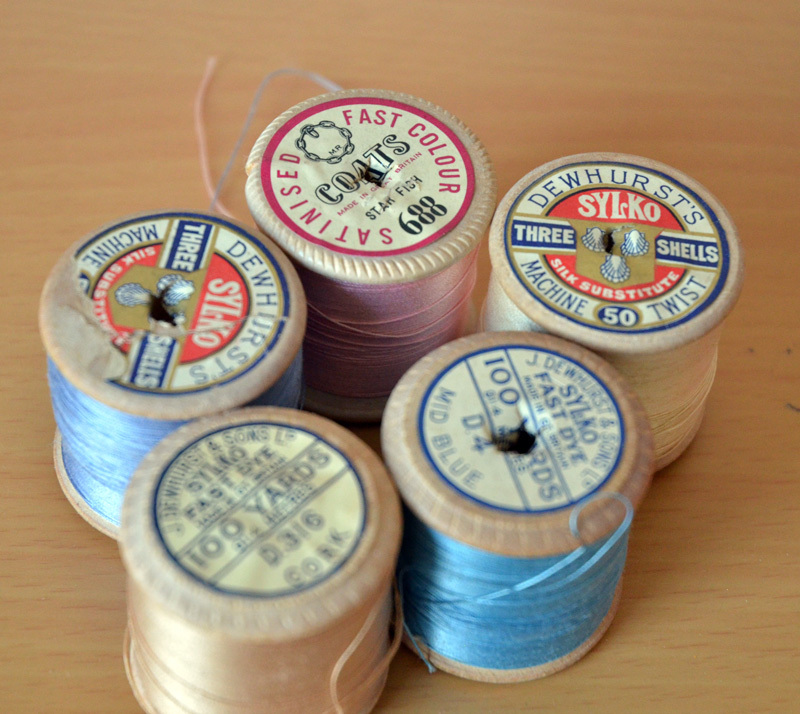 I collected these up and slipped into a pocket in the rucksack, a craft idea forming in my mind for later. It was so good to come and sit in the same old spot, with the same old friend. So much has changed since we were last there together but it’s good to know that some things stay the same. I love our Ogilty Cogilty. It’s a place full of memories of friends, hot summers and happy times. I am really glad we found our way back there again.